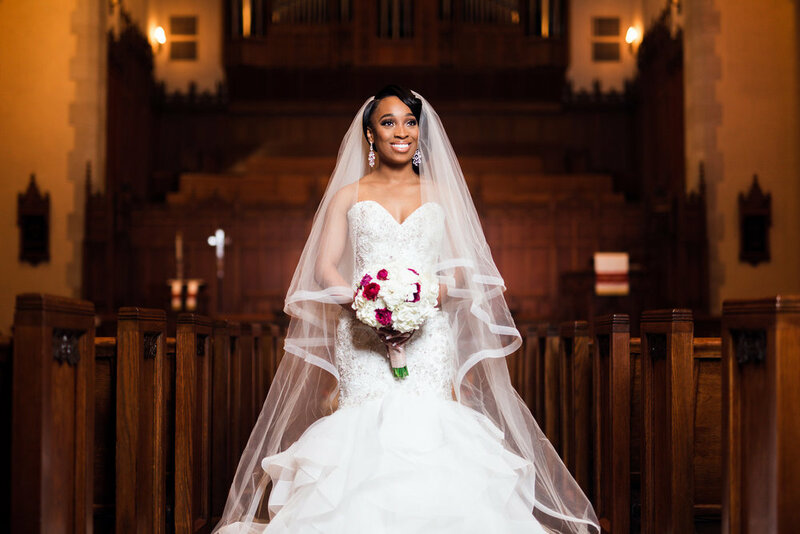 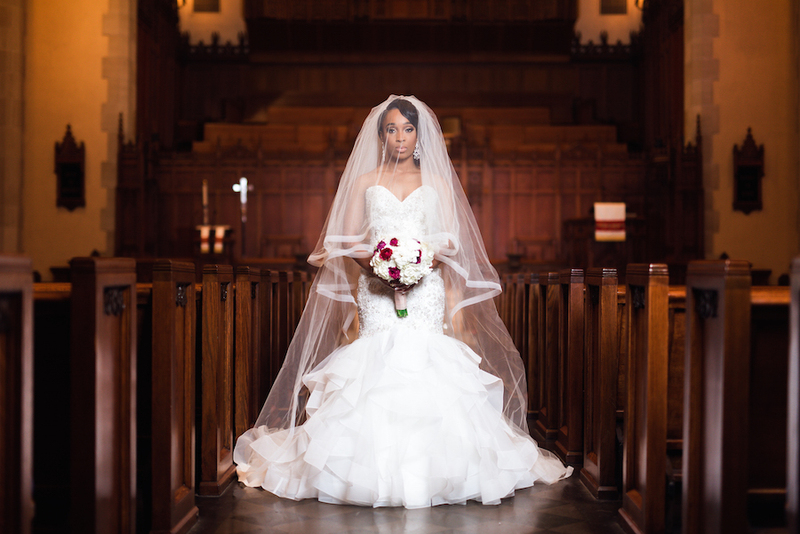 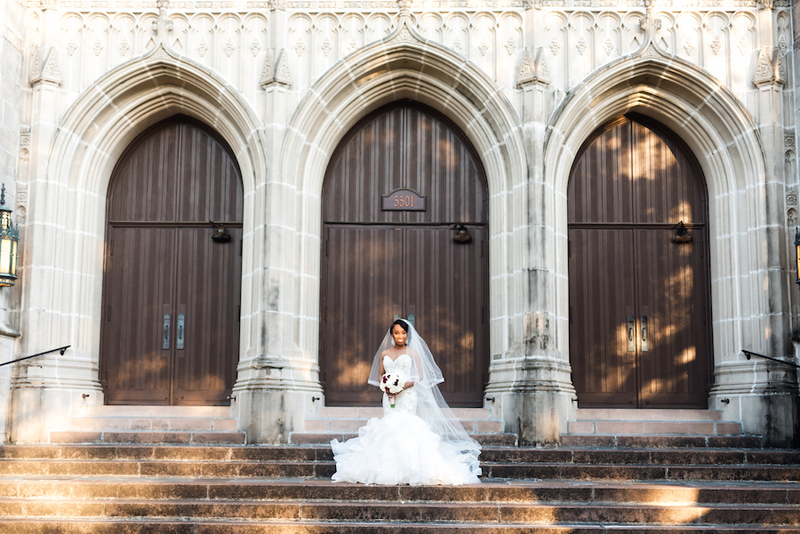 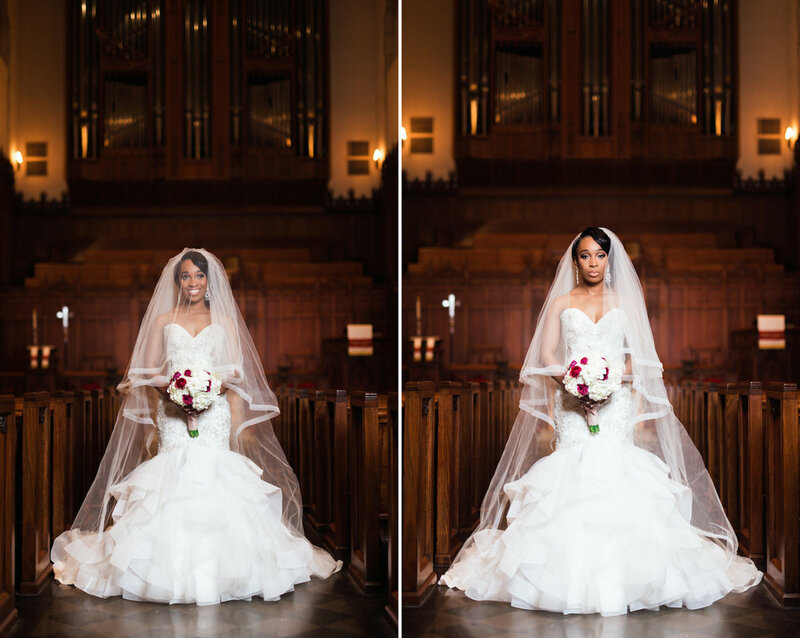 It was a beautiful day in Houston, earlier this year in April, at St Paul's United Methodist Church for Aisha's Bridals. 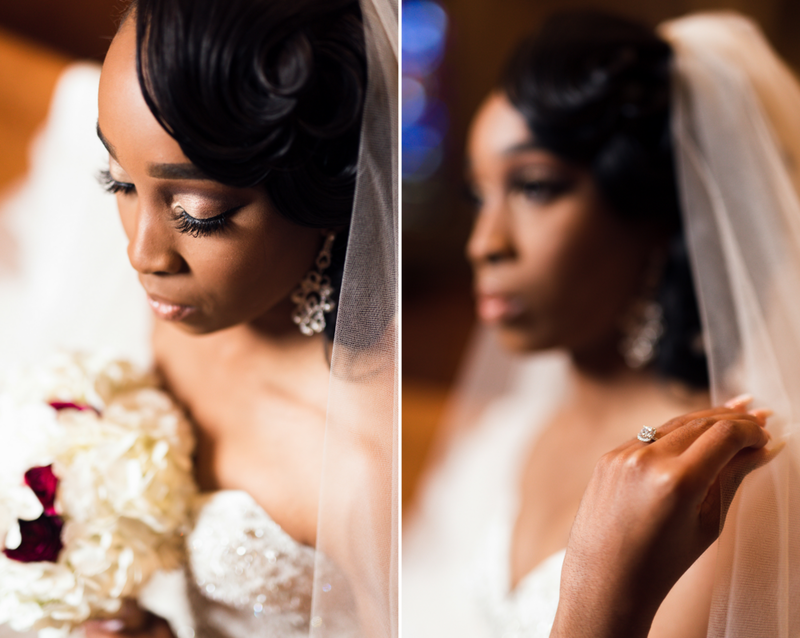 She was glowing and ready to take on this next chapter of her life as a bride and wife to the love of her life. 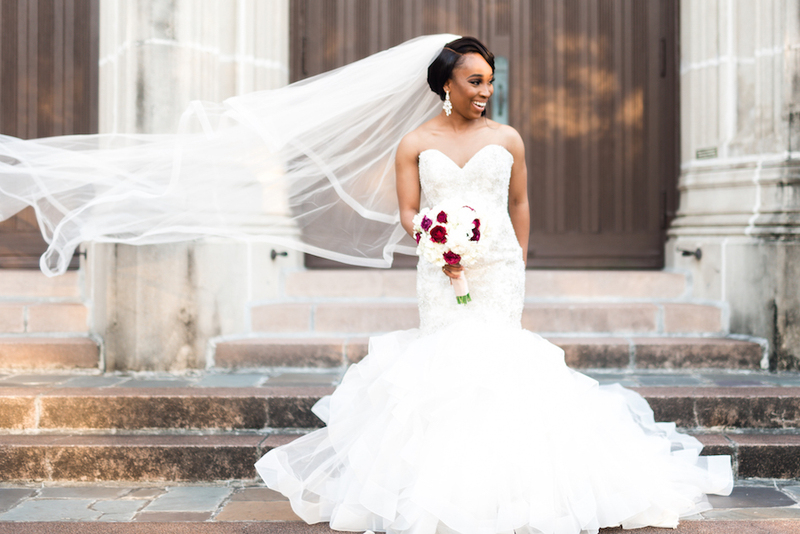 Her radiant smile says it all as her veil gracefully flowed in the wind and every little detail was set for perfection. 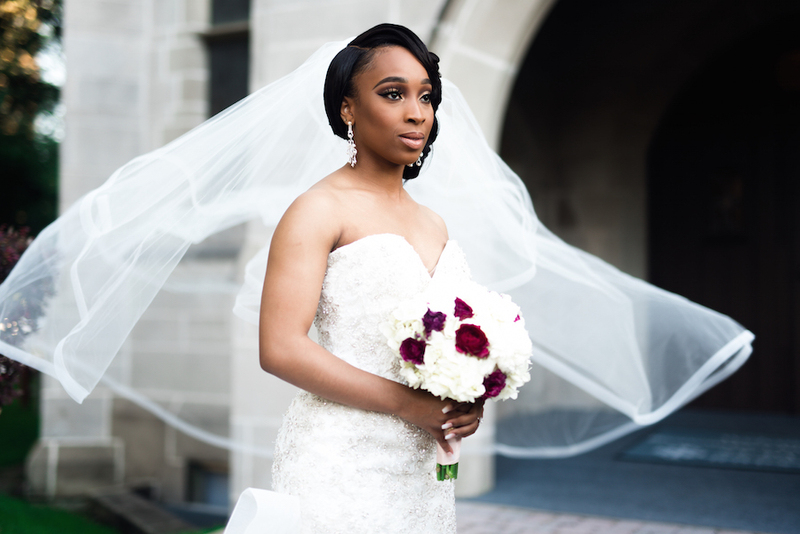  Continue scrolling for more bridal portrait inspiration and stay tuned for the wedding gallery coming your way soon!